Elliptigo 8S is the ultimate high-intensity, low-impact cross-training device for use on any terrain – from flat roads to steep hills.The ElliptiGO 8S delivers a high-performance workout experience that closely mimics running outdoors while eliminating the impact. By modifying the elliptical trainer motion and combining it with a bicycle, the ElliptiGO 8S provides a comfortable, fun and efficient way to exercise outdoors. Stem: 120mm x 7 deg. *Note: Most of the sites, stores or shopping portals listed above sell ElliptiGO 8S with discounts and other exciting offers. 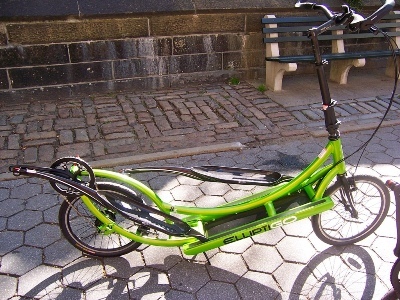 There is a possibility that the some of above websites are not selling ElliptiGO 8S now. Toughtrain.com is not liable for such cases or instances. Also we do not recommend any seller for ElliptiGO 8S and a buyer should buy from where he/she gets best deal with quality of products, service and on time delivery (shipment).